Going to the beach and picking up seashells is a wonderful pastime. 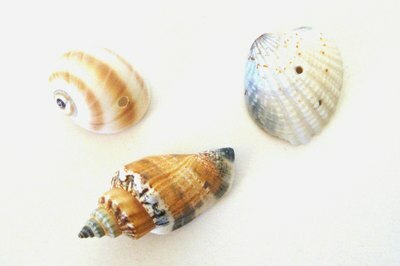 Many people gather shells to make jewelry or wind chimes. 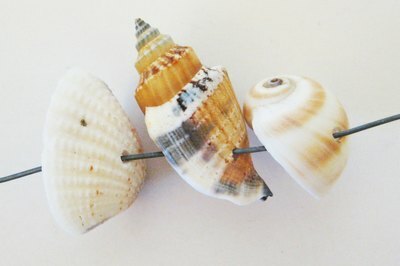 Whatever you plan to make, you may need to drill a hole into the seashell to hang it from a chain or string. Drilling a hole in the seashells is not too difficult. If you practice patience, you will break fewer shells. Before you drill on a favorite shell, drill a few practice holes on broken ones. 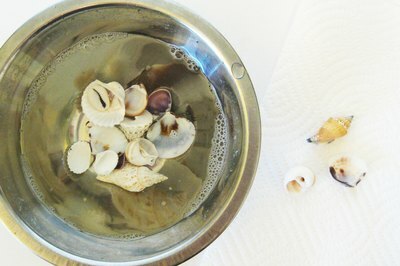 Soak the seashells in a bucket of warm soapy water for 20 to 30 minutes. Wash your seashells to remove the sand, dirt and debris out of the shell. You can use a soft-bristle brush to remove the dirt. Rinse the soapy water off the seashell and allow to air dry. With a narrow, felt-tip marker or pencil, make a dot where you want to drill a hole. Place a dot on the front side. If the shell chips while you are drilling, it will be on the back of the seashell. 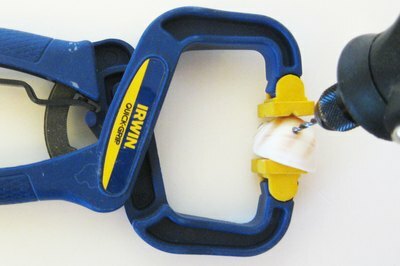 Carefully put your shell in a vise or a clamp. 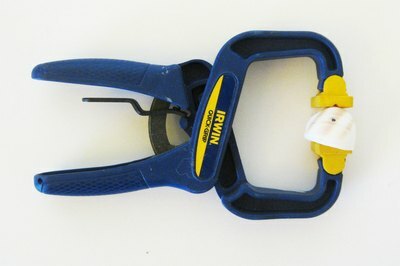 You need it to stay stationary so it does not move beneath the drill bit. 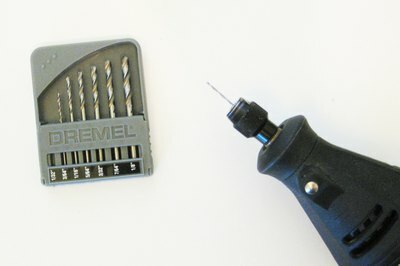 Insert a ceramic drill bit into the Dremel or drill, starting with the smallest bit available. Put on a dust mask. Holding the tool straight up and down, begin drilling at the mark. Drill slowly, releasing the pressure off and on. Stop drilling so the bit cools down and then begin drilling again. This will help keep the shell from breaking. Change the drill bit to the next larger size. Continue increasing the size of the drill bit until the hole is as large as you want. Seashell dust is toxic. Work in a well-ventilated room and wear a face mask. Wear goggles to protect your eyes from flying pieces of shell.